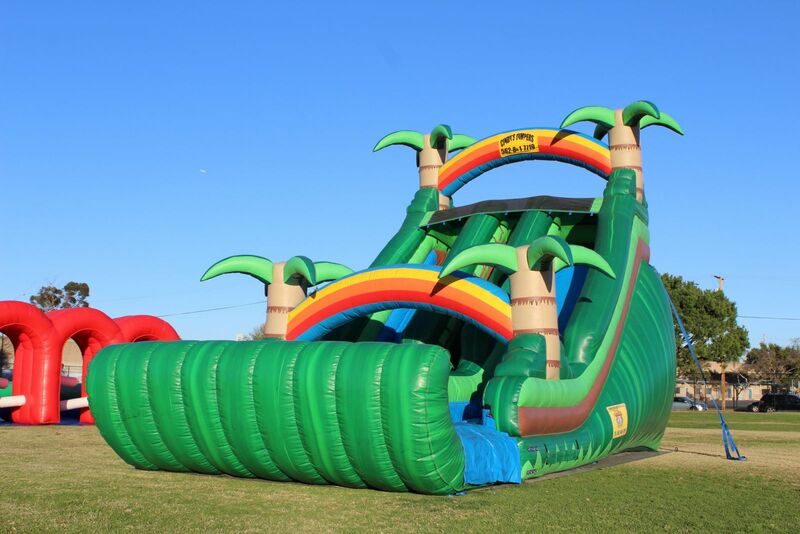 Rent this giant tropical 22' dual dry slide. 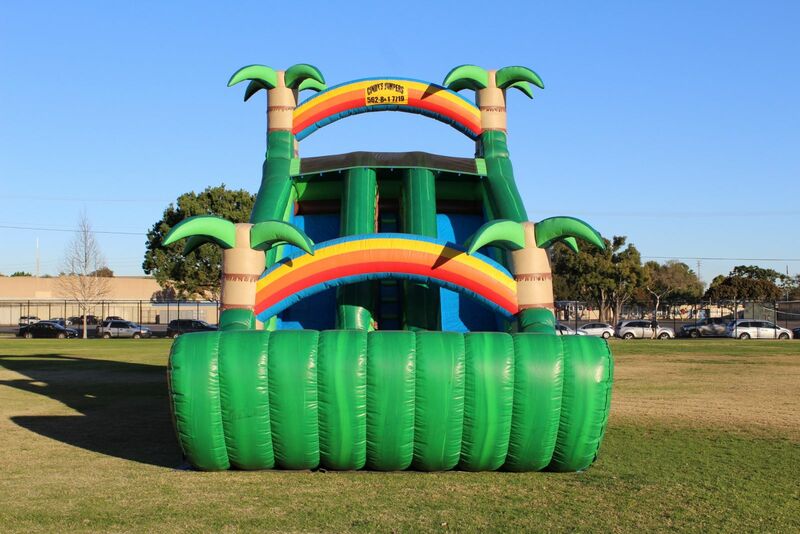 Kids can climb un the middle and use either slide on the ends to slide down. Has a stopper at the bottom. 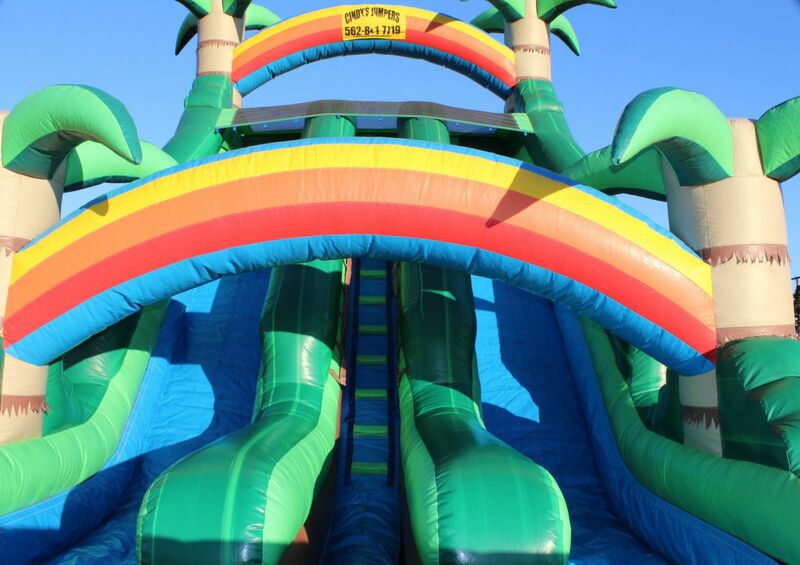 Tropical theme slide. 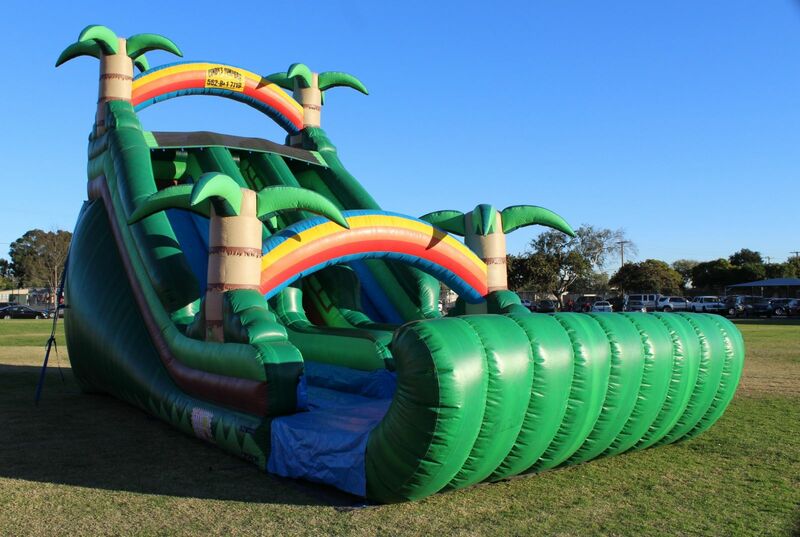 Only two riders can climb and slide at one singe time. 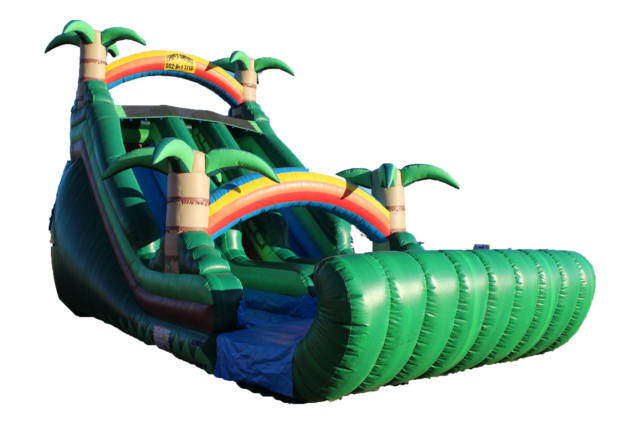 Recommended for kids 6+ years old and older only.